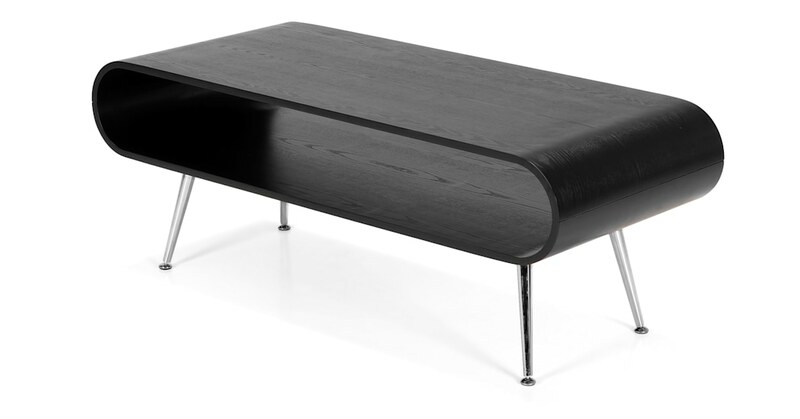 With a bold design that pays tribute to classic 1960s decor, this striking coffee table will make a stylish addition to your living room. Keep your space clutter-free - the integrated storage is perfect for books, magazines and more. It also works well as a media unit. Made from strong, black lacquered plywood to give the unique, elegant shape lasting solidity. With sturdy metal legs in a chrome finish.